In John 20:21b, Jesus says “As the Father has sent me, even so I am sending you.” Just as the Father has sent Him to us, now He is sending us to the Muslims to make disciples of the Cross from all nations. “And when he had said this, Jesus breathed on them “Receive the Holy Spirit” – John 20:22. That same Holy Spirit, by whom all the Scripture is breathed, is breathing a new life into the hearts of many Muslims today. You can help Right Here in Your church’s backyard! 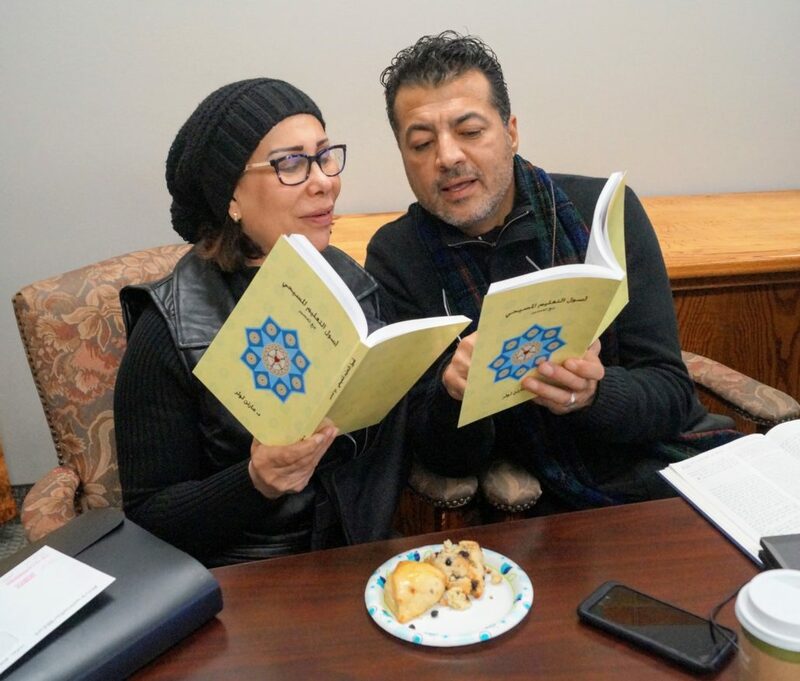 DOW’s Refugee Service Center (RSC) has welcomed and witnessed to many Muslim refugees and given the Holy Spirit over 1,200 opportunities to inspire and ignite faith and fan into flames the hope of the resurrection in Christ Jesus, the Savior of the world. Jesus Christ is Risen Indeed! Islam teaches that the Quran is God’s eternal word in Arabic, which fell on one man and was written down word-for-word. We teach that every verse of the Bible is breathed out by God and profitable for teaching in every tongue and language of all nations, tribes, and peoples (2 Tim. 3:16, Rev. 7:9). When the Body of Christ truly believes that salvation is for every people and nation, including Muslims, We can turn our fears into faith opportunities to save our neighbors from hell. and perhaps feel their way toward him and find him. Yes, God placed Muslims Refugees in Dallas, in our backyard, so that they may know His Crucified and Risen Son, and be saved by His Word and the Power of the Holy Spirit. Please consider partnering with Disciples of the Way through Volunteering, Praying, or Financial Support. Disciples of the Way is dependent on Christ-centered, compassionate people to serve in a variety of volunteer ministry roles. Stay up to date with the latest from Disciples of the Way.